In Paradise Beach you are given the chance to build and manage the world's best beach resorts. At first you will take care of and manage a small strip of coast, but soon you'll advance to more interesting and challenging areas. There are six real islands for you to dream and build on. You are absolutely free to build whatever you choose where ever you want. Construct buildings where you think it's necessary and connect them with paths. Please your guests by decorating your beach with a wide range of plants. But managing your beach isn't really just about laying out paths and wonderful avenues or building amusements and the strategic arrangement of lounge chairs. Here the customer comes first, so the most important thing is to make your guest happy. In order to achieve this noblest of causes you can hire workers who will help you: Janitors to help keep the beach clean, engineers to repair and maintain buildings and facilities, lifeguards to keep a watchful eye along the shore. These employees are priceless in the beach business. New elements are introduced throughout the game to keep things interesting. There is also the "sandbox", a second game play mode, where you start with an empty island, limited resources, and through skillful management make your guests happy. 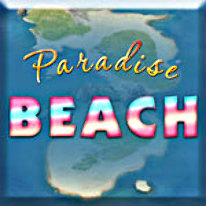 Become a vacation mogul in Paradise Beach!